(Natural News) The Lingzhi mushroom, also known as Ganoderma lucidum or Reishi, has been used for ages in traditional Asian medicine to treat a host of health conditions and promote longevity. Often referred to as the “king of mushrooms,” this edible medicinal fungus is well known to boost anti-inflammatory properties, immune function, liver health and mental clarity. 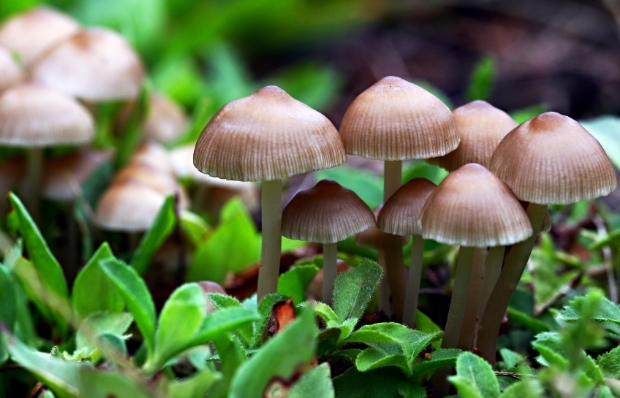 Unlike other edible mushrooms, Lingzhi mushrooms consist of many important compounds, such as triterpenes, which give them their unique bitter flavor. As well as being bitter, Lingzhi mushrooms have a tough, woody texture; for this reason, they are used rather for their medicinal properties than for their nutritional value. According to Paul Stamets, author of Growing Gourmet & Medicinal Mushrooms and educator of mushroom cultivators worldwide, Lingzhi mushrooms have a remarkable diversity of genes coding for cytochrome P450 enzymes. These enzymes not only play a crucial role in digestion, but they also help to break down toxins, fight cancer-causing free radicals and increase the liver’s metabolic efficiency. The largest group of health-promoting compounds found thus far in Lingzhi mushrooms are terpenes. Terpenes are a class of volatile plant chemicals, or essential oils, that give pine trees, cloves, cinnamon and other plants their beautiful, healing fragrance. As reported by the website Dr. Sircus, terpenes are considered the strongest anti-inflammatory and anti-tumor compounds found in nature. In less than 20 minutes after ingestion, high quantities of triterpenes are detected in the blood plasma. Besides their immediate effects, terpenes also have the ability to dissolve, dissipate and decompose cellular matter. Furthermore, an article published in the journal Integrative Cancer Therapies, reported that powdered Lingzhi mushrooms clearly demonstrated anticancer activity. They concluded that the mushroom has a possible therapeutic potential as a dietary supplement in alternative therapy for breast and prostate cancers. Additionally, regular consumption of Lingzhi mushrooms can boost the immune system and improve blood circulation. They are considered adaptogens, meaning they alter body conditions to stabilize cellular and psychological homeostasis or internal balance. They are often used in the treatment of anxiety, asthma, bronchitis, high blood pressure, hepatitis and insomnia. In ancient holistic medicine practices, such as Traditional Chinese Medicine (TCM), the full-grown mushroom was dried, cut into slices and then boiled in hot water and steeped to make a healing tea or soup. These days, however, you are more likely to find them in the form of a tincture, supplement or powder. As reported by the website Dr. Axe, Lingzhi mushrooms are most useful if you take them in the morning on an empty stomach. Furthermore, pairing them with water and vitamin C improves the absorption of the healing compounds, including several types of antioxidants. Reishi or Lingzhi mushroom extracts, capsules or powders are widely available in health food stores or online. However, when purchasing any of these products make sure to opt for the ones that are certified pure and produced in Asian countries, preferably Japan. Japanese Reishi products are usually the most genuine and cultivated in a way that preserves the most delicate compounds. Lingzhi mushrooms are generally well-tolerated and safe for most people. However, if you notice any side-effects such as digestive issues or skin rashes, stop using them and visit your healthcare provider.